This series reviews coverage of Africa in Chinese newspapers, aiming to highlight interesting reporting in China on a range of African topics, countries and regions. 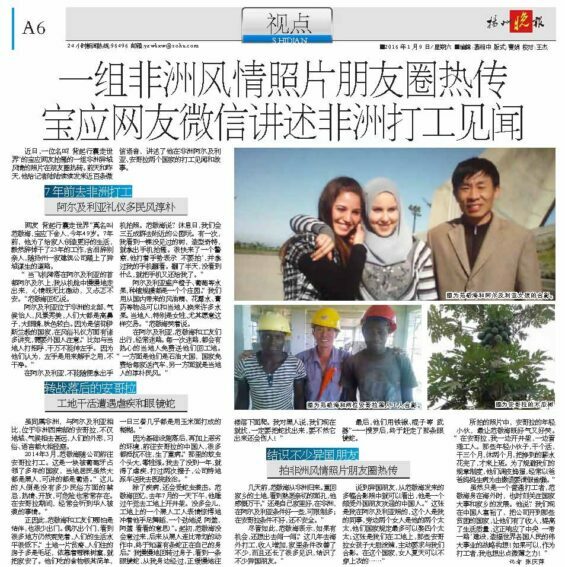 In January and February several Chinese newspapers published commendatory accounts of Chinese people working in Africa. There’s intrepid Fan who encountered some culture shock in Algeria and Angola but did pretty well for himself in Africa, doctor Ma and his sojourn in Angola endlessly treating gunshot victims, Little Dong in Cameroon who trained some of his African colleagues to do a special New Year broadcast, and others. These are stories of Chinese people living and working temporarily in Africa as reported to a Chinese audience. Confronted by dangerous environments, mosquitoes and unfamiliar customs, they deal with Africa as best they can while offering their service and support. On 9 January Yangzhou Evening News (扬州晚报), published in a city on the Yangtze River in Jiangsu province, recounted the tales of Fan Jinghai, who hails from Baoying just to the north of Yangzhou. Fan, who goes by the online moniker “Into the world with a backpack over the shoulder”, left his native Baoying seven years ago at the age of 42 when he suddenly quit his job of 23 years, and – bidding his family a tearful farewell – departed to earn his living in faraway foreign lands. Working for a Chinese construction company based in Yangzhou, Fan was to spend the next seven years working in Algeria and Angola. He would have been just another Chinese worker in Africa, yet he shared his experiences widely online, uploading many pictures of the sights and sounds of the continent. Always smiling, Fan can be seen posing next to two Algerian girls or flanked by two hard-hatted workers in Angola. Yangzhou Evening News, 9 January 2016. Fan still has vivid memories of the moment he first arrived in Africa: “When the airplane touched down at the airport in Algiers and I slowly emerged from the cabin, I was both incredibly moved and apprehensive”. For the benefit of the newspaper’s readers the next paragraph provides some useful background information on Algeria, i.e. it has a delightful climate, elegant scenery, and local people generally have prominent (“high”) noses, big eyes and light complexions. As Algeria is a Muslim country, foreigners need to take careful note of a few social customs. Whatever you do, Fan explains, never stretch out your left hand in greeting to locals, as this hand is used for “relieving oneself” and is thus not considered clean. And don’t take pictures willy-nilly, because once when Fan tried to take a picture of a peculiar tree in a park, he was accosted by a policeman who grabbed his camera. Fan recounts how Algerians, especially local women, were eager to trade with him, offering various types of fruit for medicinal items he brought from China. Yet what Fan found most pleasing is that Algerians were always eager to assist when he got lost on the roads, as he often did, even to the point of taking him all the way to where he needed to be. This, he points out, is because “as an oil-producing country the government gives every household a free automobile”, and because locals are just naturally sincere people. Angola, where Fan arrived in March 2014, however, was for him a contrasting experience. Here, he says, locals have few restrictive social customs and are warm and welcoming, “yet dangers are always present” and he heard often of attacks on Chinese people. 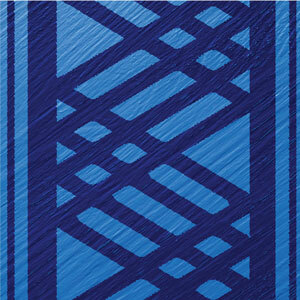 Thus Fan did not often go out in Angola, and when he did he was confronted by scenes of disorder and dire poverty. He was amazed by how many people lived in ramshackle lodgings, some even lived in trees! Yet even more astonishing was the food, almost invariably all the locals would three times daily eat only the familiar maize flour porridge. Fan found the mosquitoes in Angola to be very big and highly toxic, and he became sick every year, twice with malaria. He even had a close encounter with a cobra one day at a construction site. Finally returning to his native Baoying in January this year, Fan sighed as he spoke, “Home is still best. In Algeria conditions were quite good but there were many restrictions. In Angola conditions were not so good and it was not safe”. Yet Fan earned good money working in Africa and his family’s living standard has improved, although for him the best part of his African odyssey were the life experience and various foreign friends he made. Skimming through his various photographs, Fan smiled as he looked at a picture of the young men he worked with in Angola, “These guys would work for three months, then rest for two months; only when they’ve spent all their money would they come back to work”. We Chinese have become prosperous, and we go to poorer countries to set up businesses, raising the people’s income and quality of life. Answering the call to construct the government’s ‘One Belt One Road’ project, we contribute to this great strategic initiative that will benefit the people of all the countries in the world”. On 8 January the government mouthpiece newspaper People’s Daily (人民日报) published in its “Chinese People Abroad” section a report on a few Chinese doctors currently working in Algeria. In recent years, as per People’s Daily, with the development of China-Africa cooperation in the field of public health, Chinese doctors regularly travel far into Africa to provide treatment and support. Some of these doctors have formed close personal bonds with the people of Africa, and some have even made their home in Africa. Such is the case of 50-year-old Qin Xisheng, who has worked at the China-Zambia Friendship Hospital in Lusaka for more than ten years, during which he personally took charge of around 4,000 surgical operations, sometimes doing six or seven a day. When Qin first arrived the hospital had a mere 10 beds and a daily capacity of only 20 outpatients. Now the hospital has expanded to nine departments treating 40,000 patients annually. Back in 2005 Qin deliberately missed an opportunity to return to China, instead persuading his wife, likewise a doctor, to also come and work in Zambia. Now more than ten years later, Qin is said to be known affectionately among locals as the “Chinese Norman Bethune” (referring to the Canadian doctor who worked in China during the 1930s). 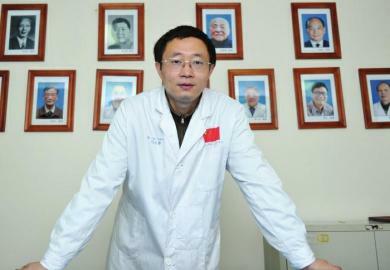 Another “Chinese Norman Bethune” in Africa is Xu Changzhen, a 63-year-old female Chinese doctor. Xu, whose lifelong dream was always to be an outstanding doctor specialised in gynecology and obstetrics, has completed four tours to Africa. When she returned to China after her very first tour to Africa, Xu just could not keep the people of Africa out of her mind; the Embassy in Algeria then sent her two invitation letters, so back she went. Soon Xu came to be affectionately known as “Mother Xu”; in a period of eight years in Africa Xu and her colleagues reportedly delivered more than 40,000 babies and rescued 8,000 critically ill patients. There are now many Chinese doctors active on the frontline of medical treatment in Africa. These doctors are crossing borders to offer selfless service, and some have taken Africa as their own home. In this way the state of medical treatment in Africa can only continue to get better. On 18 January Huaxi Metropolis Daily (华西都市报) in the province of Sichuan published an account of Ma Yukui, the local doctor who had just returned from working two years in Angola. 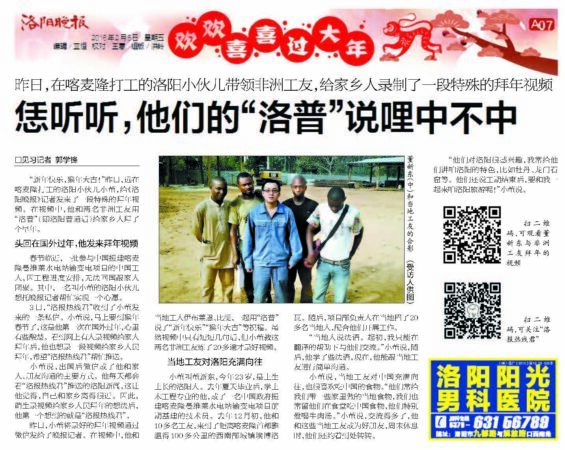 Beside the headline “Sichuan doctor Ma Yukui’s African adventures”, the article features two subtitles, “He recalls the story of Africa, he recalls great appreciation for life”, and “In Angola the mosquito is more frightful than the bullet”. On 5 December 2013, along with a translator Ma and ten other members of the Sichuan Assistance to Angola Medical Team, Third Section (of which Ma was the leader), departed China for Angola with 36 suitcases. They had been undergoing special training for the previous six months. Ma Yukui, spent two years treating gunshot wounds in Luanda. Up until this point, as the newspaper puts it, the 41-year-old Ma’s career had been successful if boring and predictable – “ordinary like a glass of water” – at least to him. He was a doctor and deputy director of the vascular surgery department at the Huaxi Hospital in Chengdu, Sichuan province. 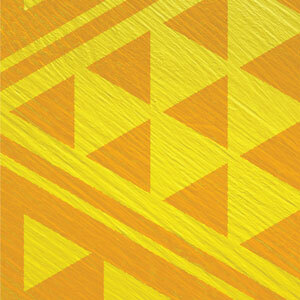 He attained a doctorate, has a family and a good job, yet he felt restless and bored. 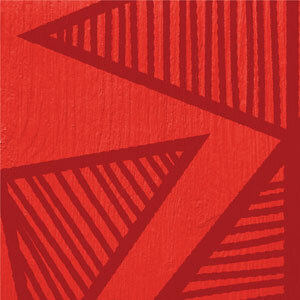 Ma needed something new and exciting, and Africa would be it. His chance came in 2012 when the medical assistance team to Angola was being formed. At the time Ma attended a series of lectures by a Chinese doctor who had previously worked in Africa, and who told how he had vastly curtailed the spread of parasitic diseases in a village there by installing water filters. Such a man was a saviour, a hero, Ma thought, and two days later he sent in his application. After a flight of 18 hours with three stopovers, Ma and his team touched down in Angola. The next day they had their first shift at Luanda General Hospital, a 350-bed hospital built by a Chinese company and first opened in June 2015. After a group photo, Ma took out his team’s pennant which all the members had signed and which bears the inscription: “This is my position and my duty to defend my country”. Then Ma walked into the hospital ward. The first thing he saw were large flies everywhere, even crawling on the patients, who had no pillows or sheets, while medical equipment and needles were strewn around in a crude cupboard in the corner. After that first day, Ma’s lingering sense of excitement was intermixed with tiredness and bewilderment. As he was to learn well in the coming months, the hospital usually receives 400-500 emergency cases daily, most suffering from external wounds, notably gunshots (what Ma originally thought were incessant firecrackers going off outside were in fact gunshots) or malaria, and there is constantly a line of patients outside. When Ma once removed a bullet from a man’s leg, a type of operation he had to carry out every few days, he washed and disinfected the bullet and hung it on a string on a wall in his dormitory as a memento of his time in Angola, but also to remind himself to constantly remain vigilant. The hospital still lacked proper equipment and drugs, and water and power cuts impeded treatment procedures. In two years Ma almost never left the hospital, the few times he did go out he only saw “suspicious people”, causing him to rush back to the hospital. When Ma heard from another doctor of a stray bullet crashing through a window, he always kept his curtains closed tightly, “If you are a yellow-skinned person there’s always people watching you, at least with the curtains closed they won’t be able to aim well from outside”. It was essentially like being imprisoned. Day to day, Ma’s routine was eat, sleep, treat patients; although now and then he would enjoy a bit of basketball, a movie or a game of poker. And he and some his colleagues took great delight in setting up a little vegetable garden. Still, with his life in Africa being what it is, Ma often became dispirited and lonely, and sometimes even regretted having gone there at all. But on 24 December 2015 his time to depart finally arrived. On his last day he looked out on the African landscape one last time, remembering wistfully the moment two years earlier when the man he had replaced seemed so overjoyed to be leaving Africa. Now Ma felt the same joy at leaving; in two years he and his team had treated a total of 61,873 people. On 6 February Qingdao Evening News (青岛晚报) from Shandong province published a short report on a local Chinese doctor, Sun Long, who’s currently likewise on a two-year medical assistance mission in Tanzania. Sun’s experience in Tanzania seems not nearly as bleak as that of Ma in Angola; every morning, for example, Sun can walk to work and feel the spray of the Indian Ocean on his face. Yet one thing Sun and his two colleagues from Qingdao find very hard to bear is spending Chinese New Year away from home. Sun and his colleagues arrived in Tanzania in August 2015 to set up a clinic in a poor community. As a result this Chinese New Year “was not as exciting as previous years”, no-one in Tanzania even set off any firecrackers. Sun greatly missed his family and eating his mother’s dumplings – the day of the Chinese New Year was just another day of treating patients for him. Sun and his colleagues are only set to return to China in August 2017, so he will spend another Chinese New Year in Africa. On 4 February Luoyang Daily (洛阳日报), published in the central Chinese province of Henan, received a special New Year greeting from Dong Xindong, known as “Little Dong”, in Cameroon. In a video recorded in the foreground of a construction site, Dong and two of his African work colleagues render a Chinese New year greeting in Luoyang-accented Chinese. The construction site in question is Memve’ele Hydropower Station in southwestern Cameroon, a project which is displayed prominently on the business portfolio of the Chinese firm Sinohydro. 23 year-old Little Dong (Young Dong could be another translation) was part of a group of Chinese workers at the site who could not return to China this year for the Spring Festival, the first one Dong would spend away from home. Luoyang Daily, 4 February 2016. So Dong on his own accord reached out to a Luoyang Daily journalist to “make a dream come true”. On 3 February Dong sent a post on social media to the journalist, explaining that this was the first ever Spring Festival he would spend outside China, and he was feeling a bit sad. So he wanted to know if his New Year video could be broadcast on one of the newspaper’s social media channels on Weibo, the Chinese microblogging service. The result was a video of Dong and two of his African colleagues saying “Happy New Year” and “Auspicious Year of the Monkey” in Luoyang-accented Chinese. It might be just a short video, but Dong apparently had to practice 20 times with them to get it just right. Dong graduated last year with a degree in civil engineering and got a government job as a technician at Memve’ele, arriving there in December. His lack of French meant he could at first not communicate with any of the locals, but he did some studying and could soon have basic conversations. His African colleagues, Dong says, esteem China very highly and like to eat Chinese food. They also shared some of their local cuisine with Dong, especially beef soup, and they have become so well acquainted that they even hang out together on weekends.